Hand Drawn Vector Abstract Cartoon Modern Graphic African Safari Nature Illustrations Art Collage Seamless Pattern With Tigers,lion,crane Bird And Tropical Palm Leaves Isolated On Black Background. Royalty Free Kliparty, Vektory A Ilustrace. Image 115457317. 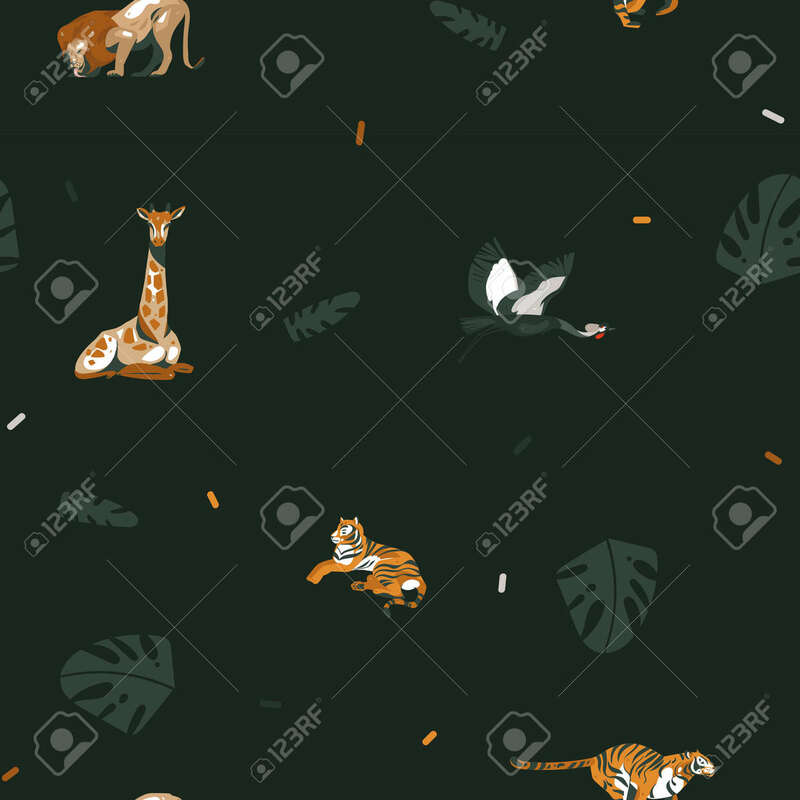 Reklamní fotografie - Hand drawn vector abstract cartoon modern graphic African Safari Nature illustrations art collage seamless pattern with tigers,lion,crane bird and tropical palm leaves isolated on black background.